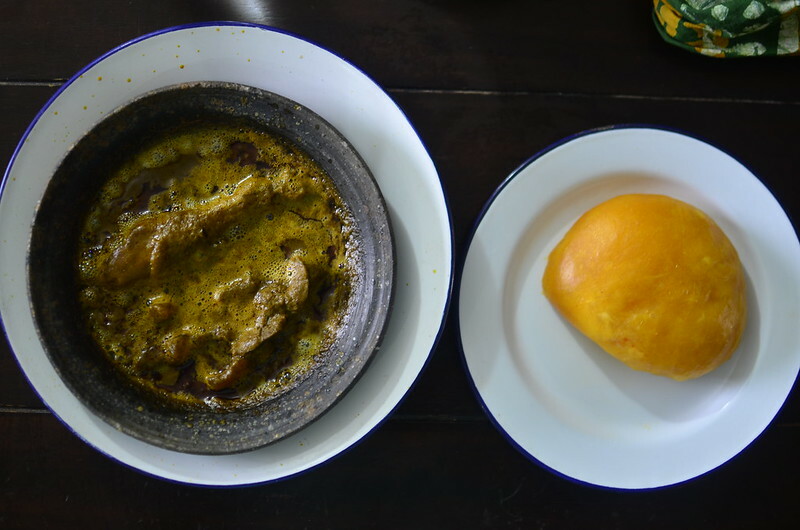 This is how you first eat starch, with your grandmother’s fresh fish pepper soup, thick with Tilapia and the noon day Isoko sun. Usi, she calls it – softly, slightly hissing the s . You are in your Sunday best – every mothers dream of a princess child – frilled hems and checked belts tied behind waists so small. 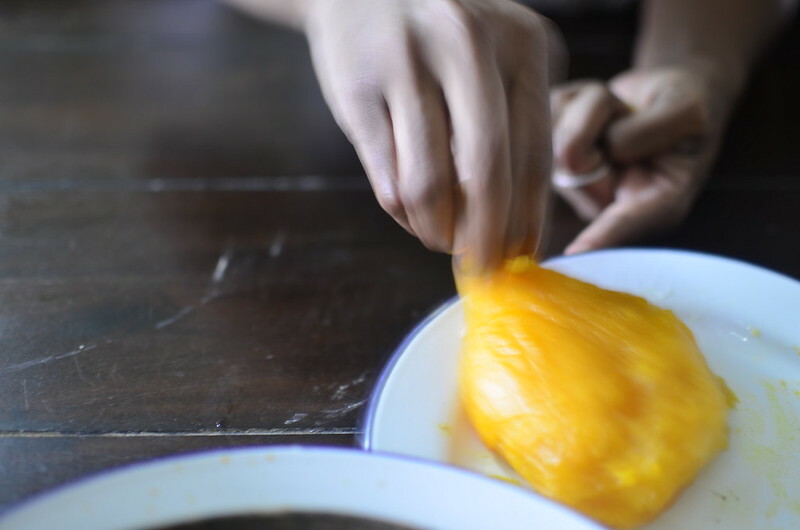 You’re miles from home and you feast on the light starch, coloured orange and without seed/ koko. Served in an enamel plate, soup in clay pot. 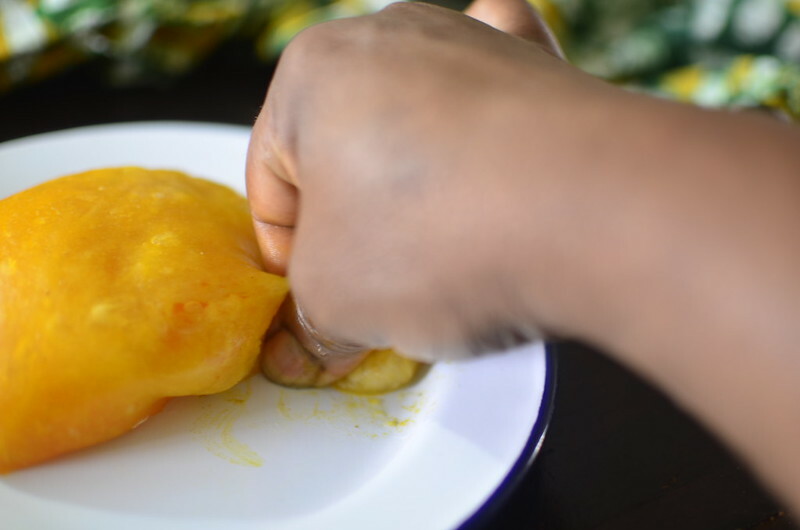 This is how you ‘cut’ starch. Balls pinched off the stretchy orange mass in take one, fingers uniting to separate one bite from the rest. Take two. Between thumb and fore finger, you create a strangle hold from the mass that severs the ball ripe for eating, clean from the rest while pressing down, into the plate. You do not pull or fight with it – you’re not about this struggle life. This is how you ready yourself when you’re an adult and the craving for grandma’s soup strikes. 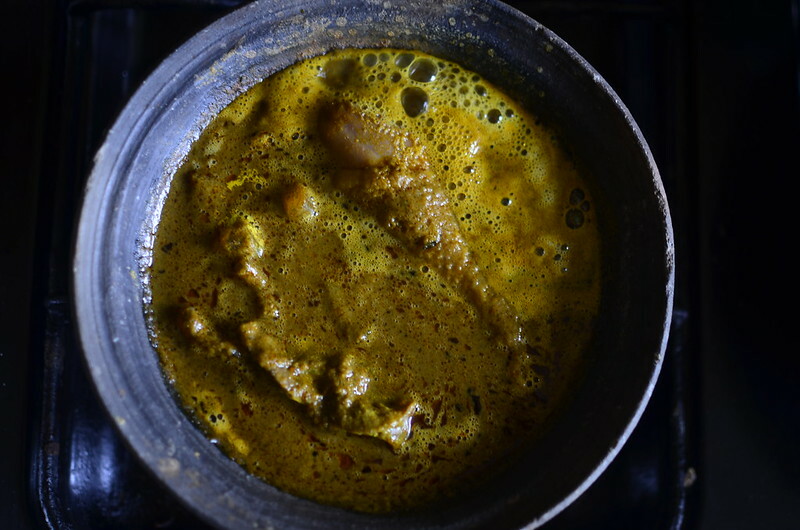 You heat up some Banga soup. It is yet liquid and you spoon it into a clay pot. Evwere. 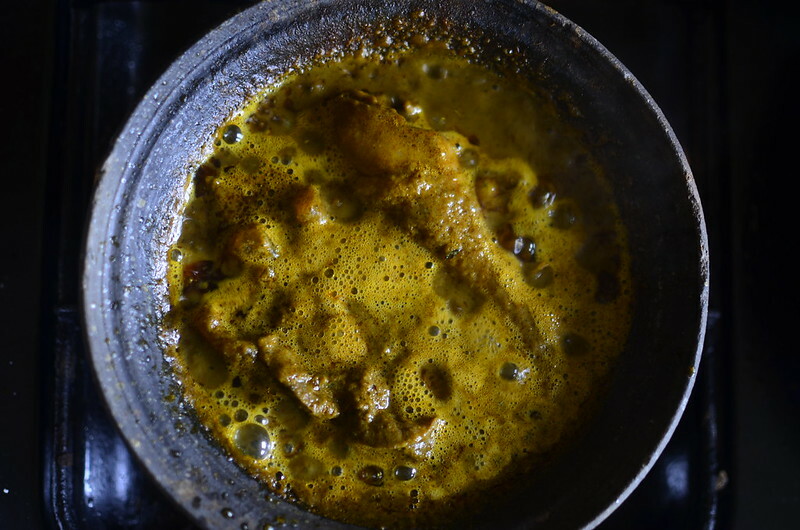 You heat it till a nice rim of dried palm nut cream forms, signaling its readiness. You set a small saucer or plate with water – you’ll lift your pot into it lest the plate heat up too fast, too quick and you drop it. You find a spot at a table, peaceful. You sit down and your eyes become movie screens. Not one but many. Side by side by side. The memories are in black and white. On slideshow. They come, fast and furious, thick. One after the other. Of being young, carefree, oblivious, loved. And so it is that you cut a ball. In preparation for eating. One could chew starch, I guess but the writer is not familiar with such behaviour and so does not recommend it. Each ball at first holds promise. Of fulfilment and satisfaction, then pain. From the memories. From the distance between youth and here. And now. And then again of hope. Of cravings felt and met. Each ball is dipped in soup and then slinked down ready throats not only by sheer force of gravity but by will. By desire. And each mouthful is bliss. 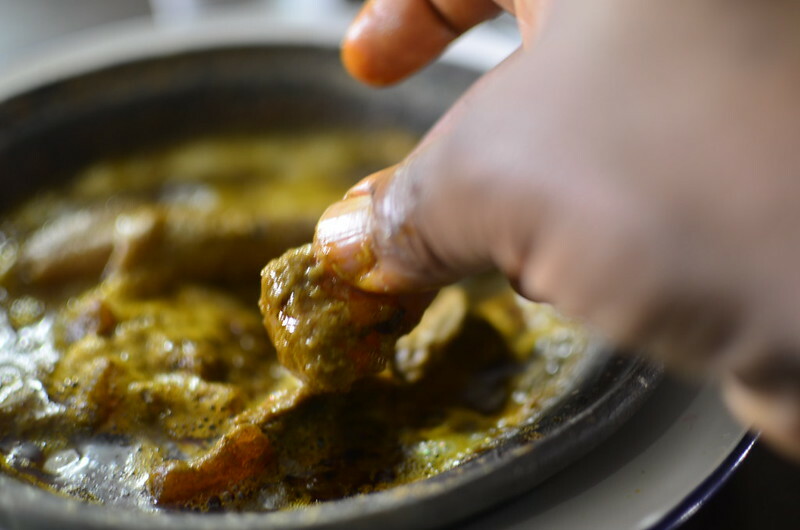 Each fingerful dipped in fragrant palm nut soup, scooped from centre then edge then licked till pot and plate are clean. And belly risen. Sated.